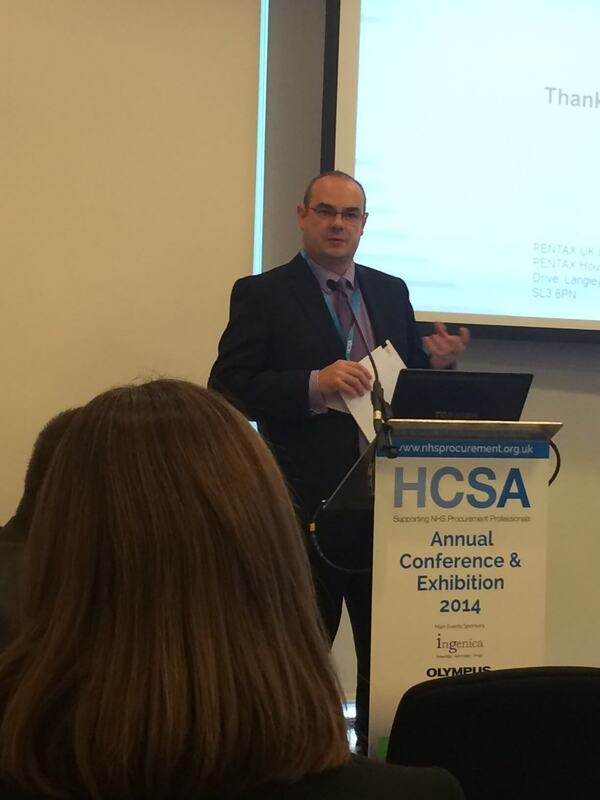 Last week, Cook attended the annual Health Care Supply Association meeting in Manchester. This event is one of the best opportunities we have throughout the year to hear from the collective group of procurement professionals in the UK. This year’s theme was “Delivering Excellence.” We believe the Department of Health’s (DOH) procurement strategy document “Better procurement, better value, better care” is the roadmap to delivering excellence. The challenge for our customers and us is how to work together to interpret and execute it. 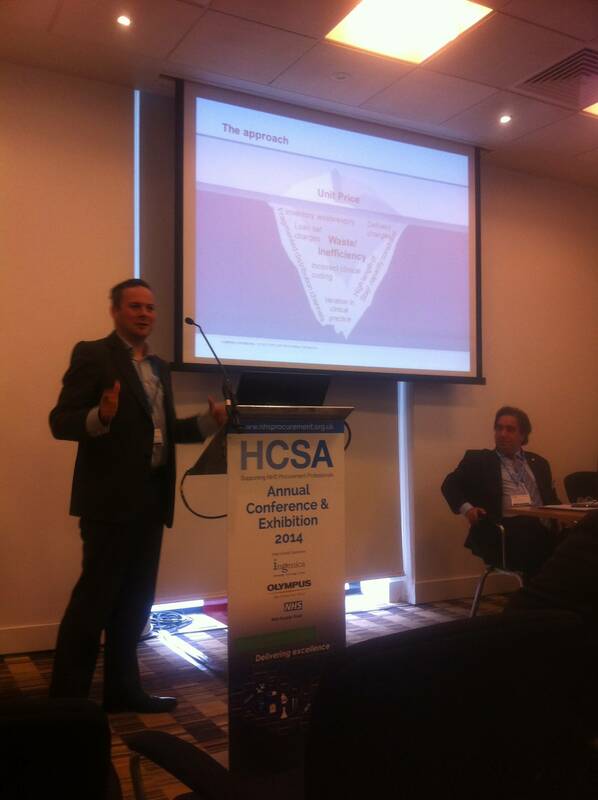 Martin Matkin, director of Healthcare Business Solutions (HBS) in Europe, had the opportunity to present with one of our customers in the industry view workshop on how the two organisations worked together to interpret and deliver the DOH strategy. David Lawson, chief procurement officer at Guy’s and St. Thomas’ NHS Foundation Trust, spoke about how suppliers and providers can work together to deliver cost savings to the NHS. Martin and David shared the same message: that supplier/provider relationships should go beyond contract pricing negotiations. This is the “tip of the iceberg,”so to speak. A huge opportunity lies beneath, in waste reduction and creating a more efficient business. Finding ways to take advantage of this opportunity requires suppliers and providers to approach their procurement relationships differently. Cook and Guy’s and St. Thomas’ have been able to approach several initiatives with this attitude and have successfully found ways to deliver cost savings back to the trust. For example, we worked with the procurement team at the trust to identify ways in which they could consolidate their suppliers and manage their stock inventory. This project resulted in £250,000 in savings in the first year. Both organisations also placed a high priority on ensuring that the physicians involved in these contracts were comfortable and supportive of any product changes. Our clinical representatives worked very closely with the physician and nursing groups to facilitate product evaluations and provide product training. Ever since our HBS division was formed in Europe, we’ve been collecting examples of how suppliers and providers can work together to create efficiencies and deliver cost savings to the health care system. Over the next few months, we’ll be sharing these stories and showcasing different ways that providers and suppliers can do more with less. We want to hear your thoughts on improving healthcare procurement. Join the conversation on Twitter @CookHealthBiz.